I was recently given the opportunity to try a cookie that is new to me, Almondina. These are a healthy cookie, with a crisp crunch. Honestly, at first, I was hesitant. I am used to the sinfully thick chewy cookies. Well, Almondina has won my cookie loving heart! These cookies come in so many flavors, there is one to fit any craving you have. 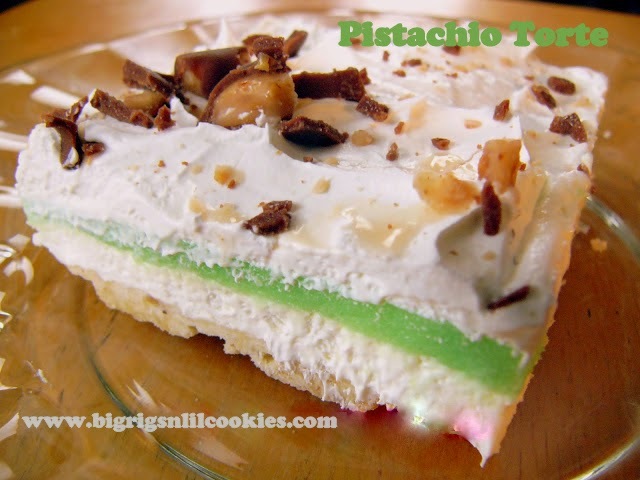 I enjoyed many of these with a cup of coffee, and some I tried with a thin spread of marscapone cheese, and that folks.... was delicious! I wanted to try some crumbled on top of a bowl of ice cream, but .... it has just been to cold to have ice cream in my part of the world! But, trust me, I think it would be a great way to top your ice cream! It is hard for me to pick a favorite flavor, but I am torn between the Chocolate Cherry, and the AlmonDuo which is loaded with pistachios! You need to try these! I received a free sample of the product for the purpose of this review and to facilitate a giveaway. The opinions expressed herein are my own and are not indicative of the opinions of Almondina. Check out their Store Finder to see what stores in your area stock Almondina. You will also see that you can buy the cookies on line, if you live in the boondocks like I do, and don't have a lot of shopping options near by. 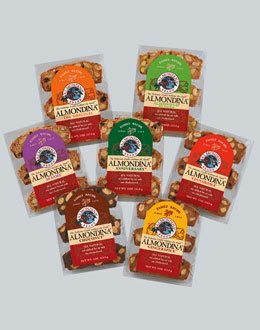 Almondina is offering one of my readers the same sampler package that I just enjoyed. Enter below to win some of Grandma Dina's Almondina cookies. Follow the rafflecopter to get your entries, please give it a minute to load. Entries will be accepted through January 11th, 12am. Winner will have 48 hours to respond, or another winner will be drawn. I'd like to try the sesame almond Toastees. I am happy to see that Wal*Mart carries these.If I can find them, I would like to try MILK CHOCOLATE ALMONDINA® DELIGHTS. These sound yummy! Thanks. The chocolate cherry sounds soooooo good! Yummy! Thanks Kris and Happy New Year! I have not heard of these before...but yes they sound good. The dark chocolate dipped cookies look delicious! I had never heard of these - they look delicious! Would love to give the chocolate cherry a try!!! Thanks for the great giveaway! Wow! The cookies sound delicious!! Thank you for telling us! !